A guide to the design and implementation of questionnaires as a research method. It covers: How, why and when to use questionnaires? How to analyse data? How to present results? And, how to relate questionnaires to other forms of research. 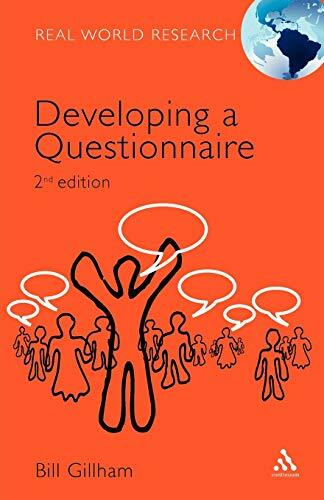 Developing a Questionnaire: 2nd Edition is a comprehensive guide to the successful design and implementation of questionnaires as a research method. It covers: how, why and when to use questionnaires how to analyse data how to present results how to relate questionnaires to other forms of research. This second edition contains new chapters on the use of questionnaires in surveys, face-to-face questionnaires and telephone interviews.